Do I have a fuel system problem? Howdy all. 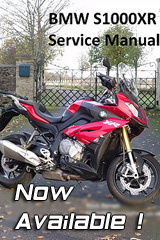 I live in the midwest USA and recently purchased a used 2016 BMW s1000xr. Having purchased the bike in October, I haven't yet had a chance to ride it in warm weather - mostly in the 40s (Fahrenheit) where I live around this time of year. Anyway, I'm noticing some behavior with the bike and I am trying to figure out if it is a problem. First, it typically takes 3 or 4 tries on the start button before the bike will fire up without stalling. Now, I have had bikes in the past that have had trouble starting in cooler weather, but I wouldn't have thought the Beemer would have this problem with its state of the art fuel injection system. Second, I've noticed the bike surges a bit under 3000 rpm. For instance, if I am coming in for a tight turn at about 10 mph in first gear, the bike kinda sputters through it and feels like it could stall (although I have not yet had it stall on me). Again, I have had bikes that don't like low rpms, but I had heard that these bikes have superb fueling and was just a little surprised. I'm interested to get some feedback on whether other folks on the forum have experienced similar phenomena and whether it is to be expected. I know these bikes sometimes come a bit lean from the factory, so maybe this just is what it is. Based on my description above, does it sound like I have a problem with my fuel system? Re: Do I have a fuel system problem? How many miles has the bike done? When was it last serviced? Was it stood idle in a dealer for some time before you bought it? Have you checked that the air intake isn't blocked by spider web or bird's nest? Are you still running on the fuel that was in the bike when purchased? If so , this might be stale. Personally, the first thing I would do is a standard service to make sure everything is in calibration, the air filter is new, plugs in good condition etc. Hi Wessie, thanks for the reply. 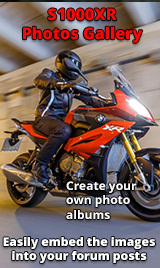 The bike has 12000 miles on her and was purchased from an out-of-state BMW dealership. It sat at the dealership for about 4 months before I purchased it. The manager at the dealership claimed that the bike was completely up to date on service, but I have not had the bike fully inspected. It does look like it has new oil, oil filter, tires and that the chain has been cleaned and tightened. I haven't checked the air filter, plugs or anything else. As for the gas, good point. Who knows how old it is. It came with an 90% full tank and I did not drain it before riding. I've put about 100 miles on the bike so far. I topped it off and added fuel stabilizer to the tank yesterday. The tank was still about 1/3 full with original gas when I topped it off. Based on your response should I assume that this is not expected behavior for this bike? Thanks, Bree. I will take it in and let you what happens. Could be anything but in the time I’ve had mine there have been a few with fuel pump issues do a search there is quite a bit on such. No, this is not typical behaviour. My bike has 11300 miles, was last serviced at 8000 miles and starts first time. Fuelling is pretty good across the rev range. The bike should run better at lower temperatures as the air is denser so you get more oxygen into the cylinders. Hi Rutty, Check out this link, On the search bar type in Frost Restorers Protect against Ethanol... Have a read of the contents because it out lines your problem... Hard to start, and engine running rough. All caused by old Fuel high in Ethanol content..